I customized it with a metal flake silver and candy apple blue paint job. That thing was awesome! I had the crank, head stock and seat posts re-chromed at Pomona Valley Chrome Platters. We took the seat to Tijuana Mexico and had it custom upholstered with a white and blue tuck and roll with silver beading – I put big ape hanger bars on it and a big fat slick tire on the back. Schwinn Bicycles was founded by Ignaz Schwinn, a German-born mechanical engineer in Chicago, IL, 1895. 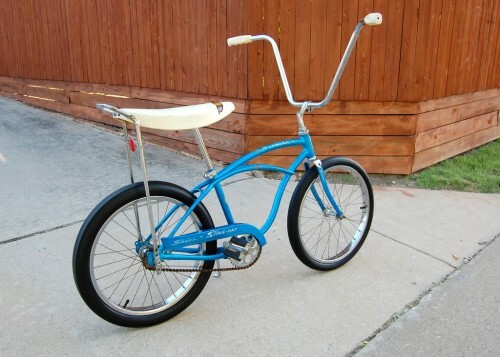 Upon hearing the news that a new trend of bicycles were sprouting up in California that had “chopper” characteristics including the “ape hanger” handlebars and low-rider “banana seat”, Schwinn’s designer Al Fritz designed the Stingray. Launched in June 1963 sales started off sluggish but within two years, sales sky-rocketed and the Stingray remains an icon to this day. If you wanted to weld your own custom bike frame or bend up some ape hanger handle-bars from scratch, you’d probably want to use oxy-acetylene (AKA Gas) welding. This allows more versatility and strength when brazing the frame together. 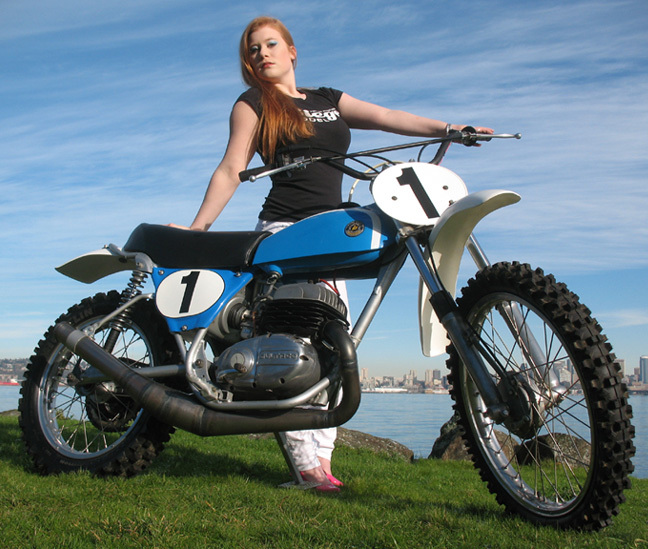 Vintage Iron is a Southern California company specializing in the restoration of vintage motocross machines. 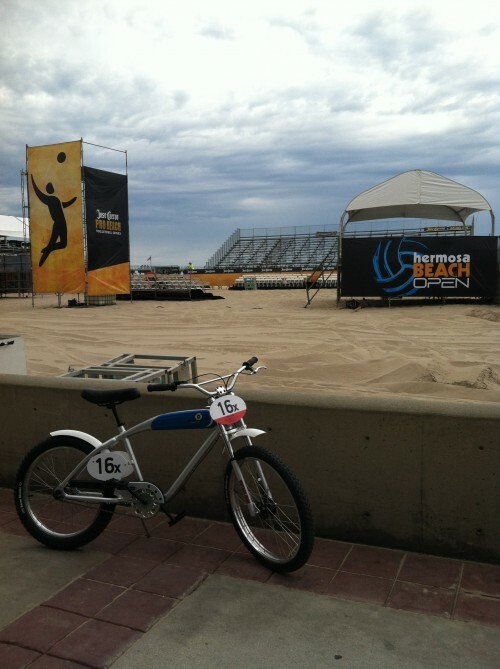 A few weeks ago I was cruising on this bad-boy with my wife in Manhattan Beach, Los Angeles, and it landed me two free beers from the locals. It was at this point in my life that I realized how awesome it is to have some cool rolling stock that doesn’t take up to much room, is easy to maintain, and gets people talking. This opens the door to meet more people and learn about what they are doing in metal fabrication. What was your first bike? Follow Arc-Zone’s Facebook Page and share some photos with us. Until then, good welding! Yamaha is the only Japanese manufacturer that still imports two-stroke motocross bikes to the U.S.. They have had together the entire time, but the YZ250’s best years are 2005 and newer. The lightweight aluminum frame and updated suspension (2006) makes the bike nimble, quick, and easier to ride. Power right out the box is excellent for almost any amateur, so there really isn’t a whole lot you need to do to do for it to be competitive, other than a suspension re-valve for your weight and riding style. The YZ250 has quite a bit of bottom-end power for a 2-stroke, and has plenty up top. You can move the power-band around with an aftermarket pipe if you don’t like the stock curve. Probably the best modification for engine performance is porting. It’s relatively cheap, and if you get it done by the right person this bike will absolutely rip.